National Geographic's new travel photography competition is entering its third week and is attracting stunning pictures from across the globe. Some of the jaw-dropping pictures show the famous "Firefall" of Yosemite National Park to a sunset at the Taj Mahal. The annual competition is accepting entries until May 3 at 12pm and asks for pictures in three categories: nature, cities and people. This year’s grand prize winner will receive a £5,700 prize and be featured on National Geographic’s Travel Instagram account, @natgeotravel. Los Angeles is a well-recognised tourist destination.  However, it is less known that it is also home to various wildlife. 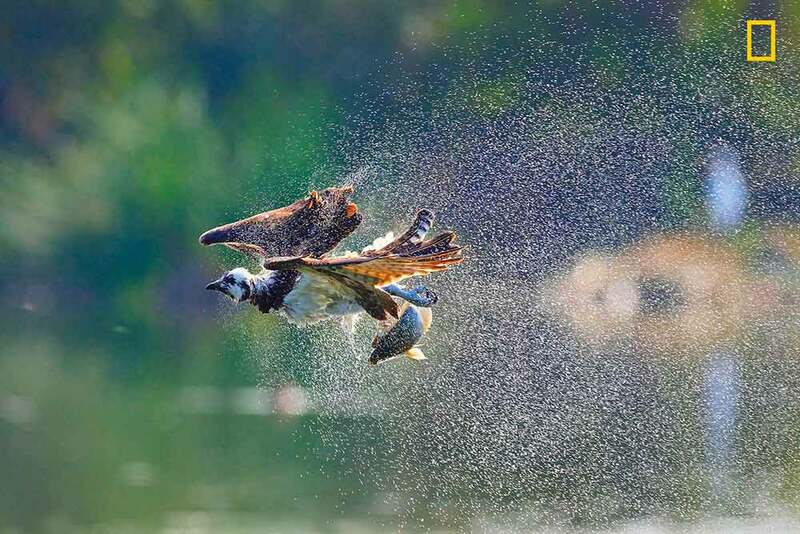 This osprey, shaking off water after successful dive, was photographed next to very busy 405 freeway in the heart of San Fernando Valley--an urban and suburban enclave of the greater Los Angeles area. Harsh sun in the zenith made the shot very difficult, but revealed a beautiful cloud of water drops, following the bird -- and reminding me famous jet sonic boom images. 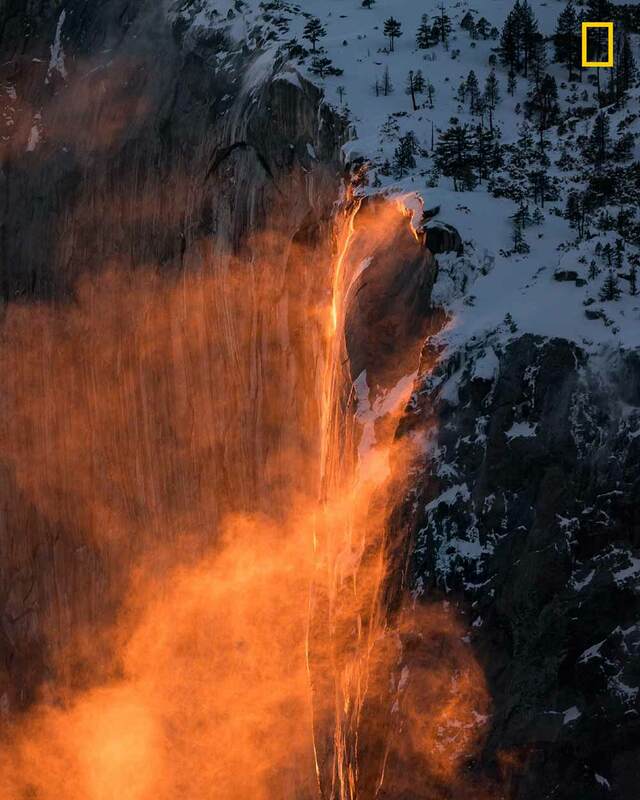 The famous "Firefall" of Yosemite National Park is a natural phenomenon that occurs when the Horsetail Falls waterfall glows orange due to the angle of sunlight hitting the water, and will only occur when certain time and weather conditions are met. Some firefalls may glow a pale yellow, while others may glow like burning fire. I was lucky to witness the latter combined with strong winds, creating a spectacular sight to see. I went the extra mile up a snowy mountain to get the eye level shot. Nature is amazing. Deep within the Waipu cave system live the arachnocampaluminosa -- a glow worm species found exclusively in New Zealand. 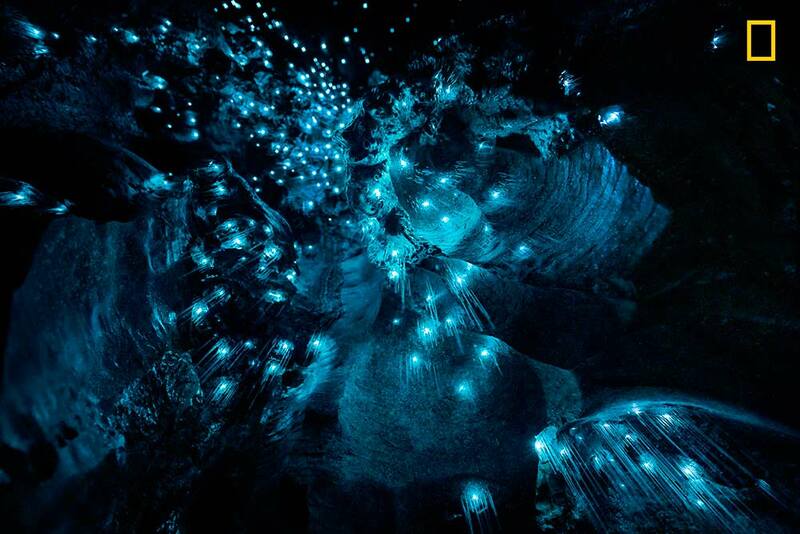 During the first year before they become actual flies, these glow worms use a special trick to find food-they produce saliva threads hanging into the cave and attract their prey by creating this beautiful glow. It sounds disgusting, but looks so beautiful -- from far and close. Only nature can produce such stunning contradictions, captured in this long exposure. 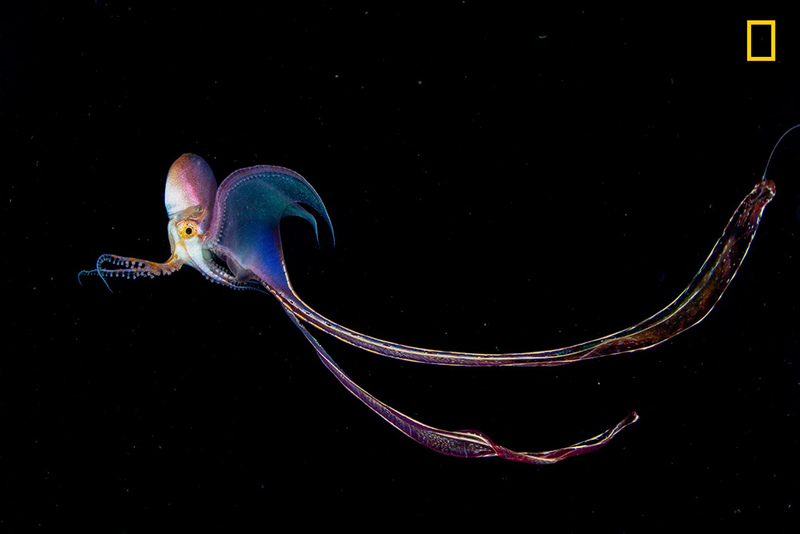 What we see is a female blanket octopus, which may be more than 2 meters in length. But male blanket octopuses are usually only a few centimeters long. Blanket octopuses have a unique protective mechanism: they are immune to the toxins of the jellyfish and will tear off their tentacles as a self-defense. They don't use ink to scare away enemies like other octopuses, but they open the membrane like a net, making them look big. Xiapu is a giant mudflat in Fujian, China. 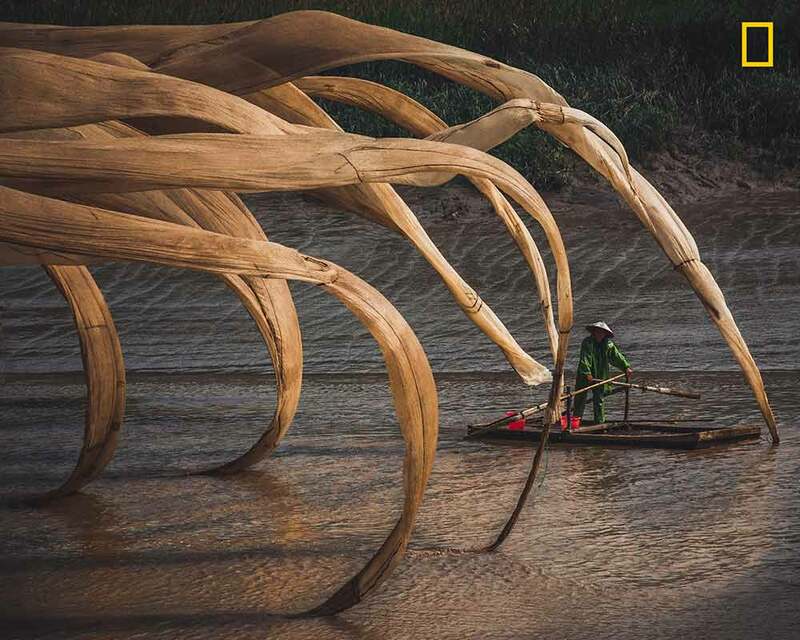 Most famous for a battalion of bamboo poles stretching to the horizon and thrust into the mud to hang and dry seaweed, the area has preserved traditional ways of coastal living. After having visited an ancient forest we got lost on the country roads back towards the highway. I happened to look out the passenger window and see these giant nets floating in the breeze like tentacles clawing at the boatman. I parked, slid down a muddy bank and took the shot. 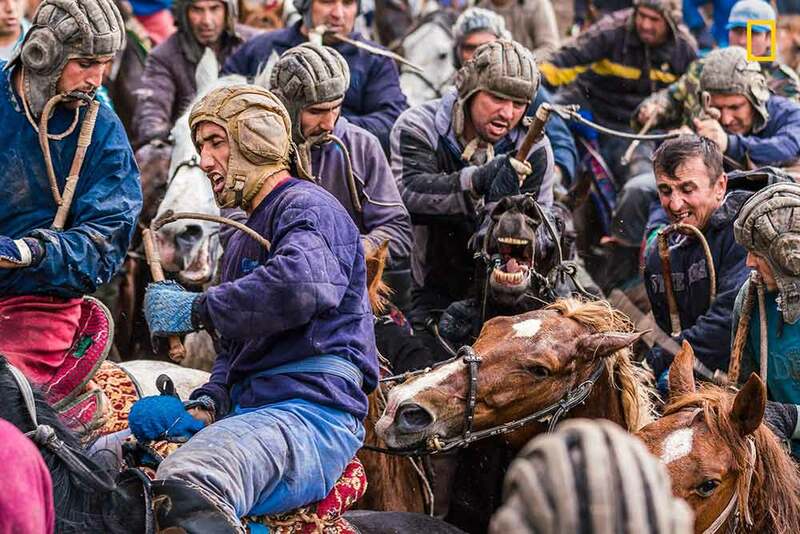 Buzkashi (literally "goat pulling" in Persian) is a Central Asian sport in which horse-mounted players attempt to place a goat, calf, or a lamb carcass in a goal. Played in one form or another for more than 600 years, Central Asia’s national sport, buzkashi, is alarmingly fast and extremely physical. It’s like the NFL, but with horses and a headless lamb. 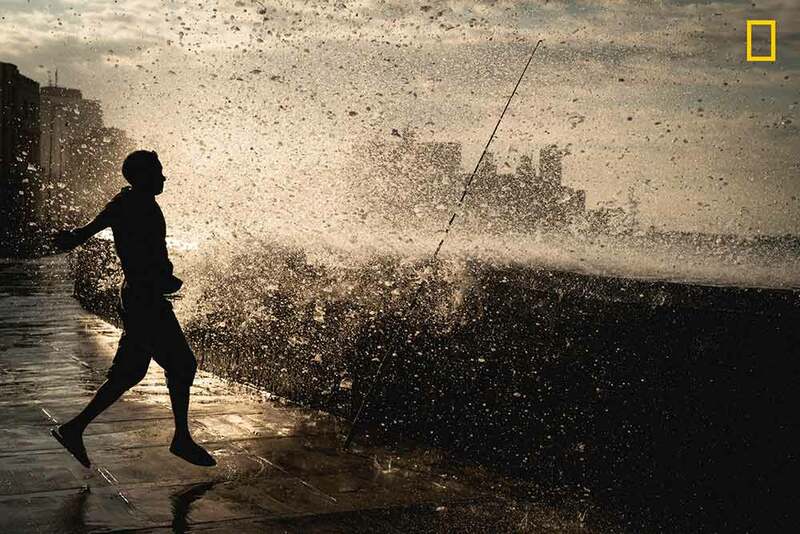 A fisherman is suddenly surprised by a wave along the Malecon of Havana, Cuba. 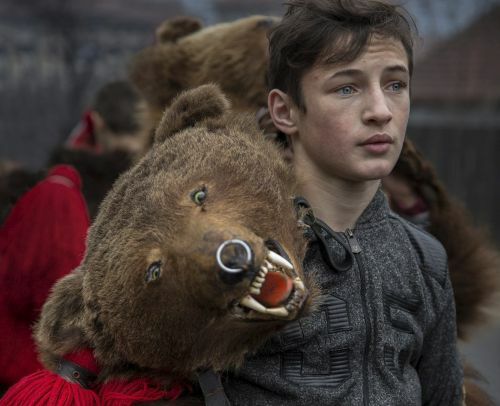 Every winter, between Christmas and New Year, in the north-eastern regions of Romania, the annual Dance of the Bears takes place -- a ritual that symbolises the death and rebirth of time. 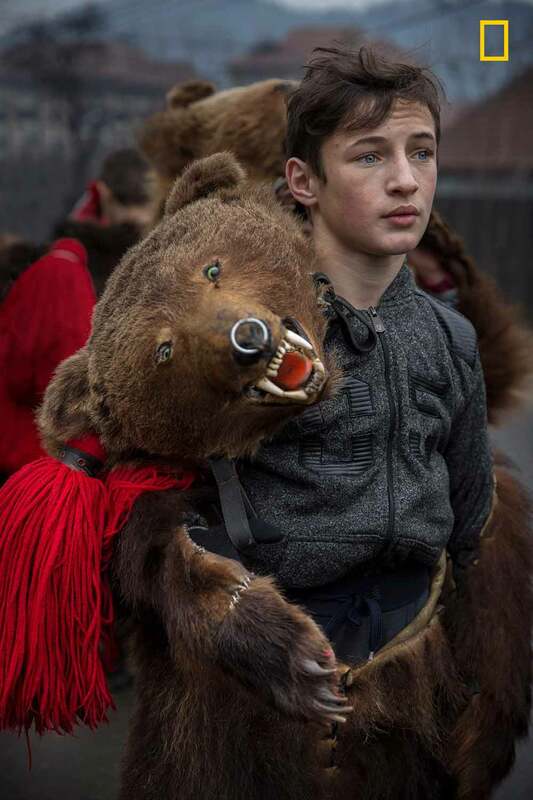 Men and women of all ages dress with bear skins and dance to the rhythm of flutes and percussion to drive away evil spirits and welcome the New Year. 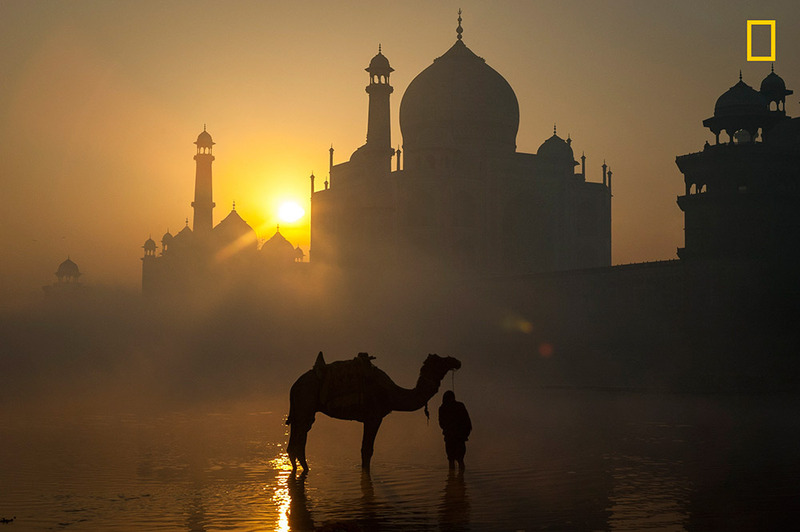 The sun rises behind the Taj Mahal in this photo taken from the north side of the Yamuna river. Built in Agra as a tribute of his love for his wife, Mumtaz Mahal, the Taj took nearly 20 years to build. The grounds of this building are fittingly peaceful and relaxing, juxtaposed against the hustle and bustle of Indian life. 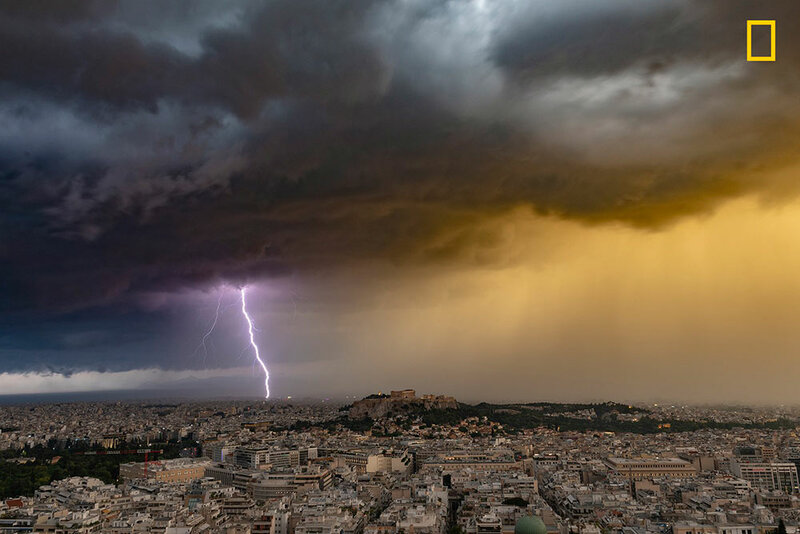 A lightning strikes the shoreline of Attica behind the Acropolis of Athens, Greece during a severe summer thunderstorm in June 23, 2018.